We all want lush foliage and lots of big, colorful blooms from our roses and flowers, but how do we get there? Care and feeding is the answer. 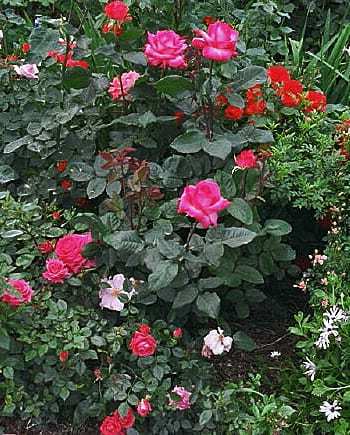 These plant types, roses especially, are considered heavy feeders. Meaning that they need plenty of nutrients from fertilizers. However, they need these nutrients at the right time and in the right amounts. If chemical fertilizers are used too early in the process, the plants will often experience burning – where the leaves turn brown and die. We recommend that the early spring fertilizer dose be done with a balanced, slow release, organic fertilizer. 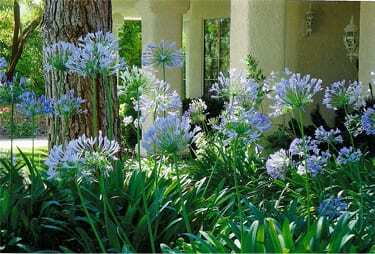 If the gardener wants to use chemical fertilizers, that should be done as the season progresses, but not initially. The American Rose Society suggests starting with organic fertilizer and not using chemical fertilizer until after the first blooms. 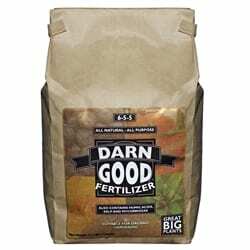 Darn Good Fertilizer provides a balanced, slow release source of nutrients for roses and flowers. Professional rose and flower growers know to make sure their soil is in optimal condition in order to get the best rose growing results. Unfortunately, new flower plantings in home gardens are often placed in soil that is severely lacking in beneficial microbes, micronutrients and bioavailable carbon. Once fertilizers have been added to the soil, they must be converted into a plant available form in the root zone for the flower and rose roots to be able to absorb them. This is the work of the soil microbes. 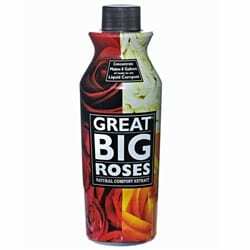 Our Great Big Roses Natural Compost Extract provides a boost to soil microbe populations and provides humic acids, kelp and trace minerals. Our compost extract for roses and flowers helps boost plant growth, bud count and bloom longevity. Our organic formulation inoculates your soil with beneficial microbes and bioavailable carbon and micronutrients in the root zone for immediate plant benefit.